I hope to do my best I can be at my job and because many in this line of work are promoted to area manager, I am planning on that also. I feel that my strongest asset is my ability to stick to things to get them done. I feel a real sense of accomplishment when I finish a job and it turns out just as I'd planned. I've set some high goals for myself. For example, I want to graduate with highest distinction. And even though I had a slow start in my freshman year, I made up for it by doing an honor's thesis. I'm such a perfectionist that I will not stop until a job is well done. I think I did well in school. In fact, in a number of courses I received the highest exam scores in the class. As an intern for the X Company, I received some of the highest evaluations that had been given in years. 6.Why did you choose peking university? 7.Why did you choose MBA? 8.What would you like to be doing five years after graduation? 10.Describe your greatest strengths and weaknesses. 11.What have you learned from the jobs you have held? 12.Describe the best/worst team of which you have been a member. 13.Tell me about a time when your course load was heaviest. How did you get all of your work done? 14.Give me a specific example of a time when you sold someone on an idea or concept. 15.Tell me about a time when you were creative in solving a problem. 16.Describe a time when you got co-workers or classmates who dislike each other to work together. 17.Tell me about a time when you made a bad decision. 18.What kinds of people do you find it difficult to work with? 19.What are some of the things you find difficult to do? 20.How would you evaluate me as an interviewer? 21.What interests you least about MBA? 22.How do you handle rejection? 23.What is the worst thing you have heard about our school? 24.See this pen I'm holding. Sell it to me. 25.A chain of grocery stores currently receives its stock on a decentralized basis. Each store deals independently with its suppliers. The president of the chain is wondering whether the firm can benefit from a centralized warehouse. What are the key considerations in making this decision? A magazine publisher is trying to decide how many magazines she should deliver to each individual distribution outlet in order to maximize profits. She has extensive historical sales volume data for each of the outlets. How should she determine delivery quantities? 26.It is the 15th Century. How do convince the Pope that the Earth is round? 27. If I gave you an elephant, where would you hide it? 29. How much RAM does a PC need to run Windows95? 30. You are in a boat on a fresh water lake. In your hand is a rock. You throw the rock into the lake. How is the lake's water level affected? 31. If it rained music, what would grow? 32. Describe your best friend and what he or she does for a living. 33. In what ways are you similar or different from your best friend? 34.What are your career's strengths and how do you capitalize on them? 35. Are you a happy person? 36. According to JRM, Jr., a fast growing software company asked this question… You have a wealthy aunt who weighs 300 pounds. Tell me how you would redesign her toilet. 37.Would you please make a brief introduction about yourself? 38.Why did you take the MBA examination? 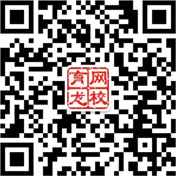 Would you please say something about the currently MBA program in China? 39.Why do you choose RENMIN University to study MBA? Tell me a little about RENMIN University form your understanding. 40.How do the people around you review MBA? 41.What's the difference between MBA program at home and abroad? 42.If you failed this time what will you do in the near future? 43.Why do you want to be a part of MBA students? 44.Why do you think you are qualified for MBA program? 45.Do you have a career plan in 5 years? 46.Do you have a study plan if you were accepted as a MBA student? 47.What's your opinion about the requirement that a MBA student must have working experience? 48.How do you define marketing or management? 49.Do you think English is quite important in MBA study? Why? 50.Do you think MBA training courses will help you a lot in your future life? Why? 51.What do you want to do after your MBA study? 52.What is the most important qualification that a MBA student should have? 53.Say a little about teamwork. 54.Say a little about management. 55.How communication works in organizations? 56.Tell me the relationship between the management and management theory. 57.What will you do if you can't find a job? 58.Do you think that the economy will get better? 59.Who are you currently employed with? 60.What kinds of opportunities are you looking for? 61.What is your biggest accomplishment on the job? 62.What joy did you enjoy the most and why? 63.What would your former boss say about you? 64.Why did you leave your last job? 65.Please tell me a little about your working history? What kind of fields? 66.Say a little about your educational background. 67.What are your strengths and weakness? 68.What do you do in your spare time? 69.What is your impression of Beijing? 70.What is CFO? If you were a CFO, what would you do? 71.What is the difference between sales and marketing? 72.What do you think is the most important as a manager? 75.does our school provide some guidance of job to MBA?